It continues to amaze me how the Lord will use anyone who will simply say, “yes” to Him. No matter the age, gender, economic status or educational achievements, God is seeking out those He can use. 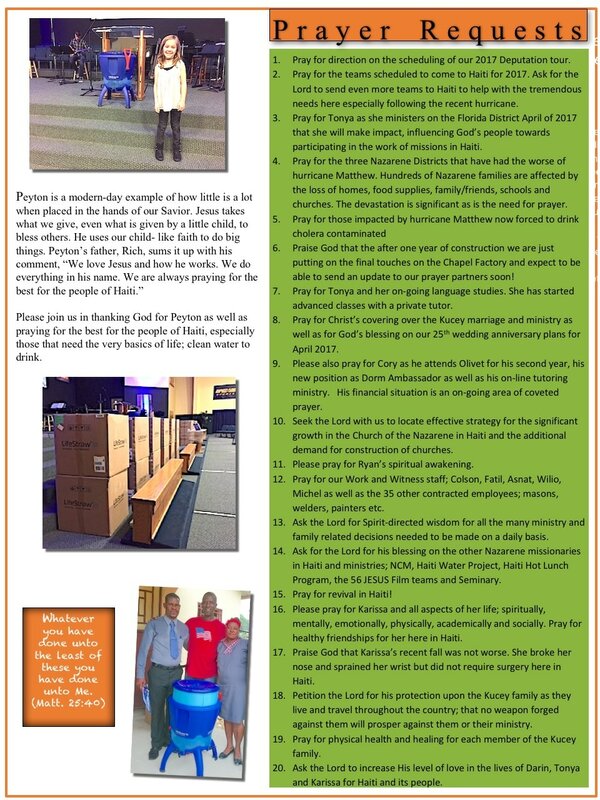 Peyton said “yes” to Jesus and gave Him what she had to give. The Lord received it, blessed it and used it to bless hundreds and hundreds of people. 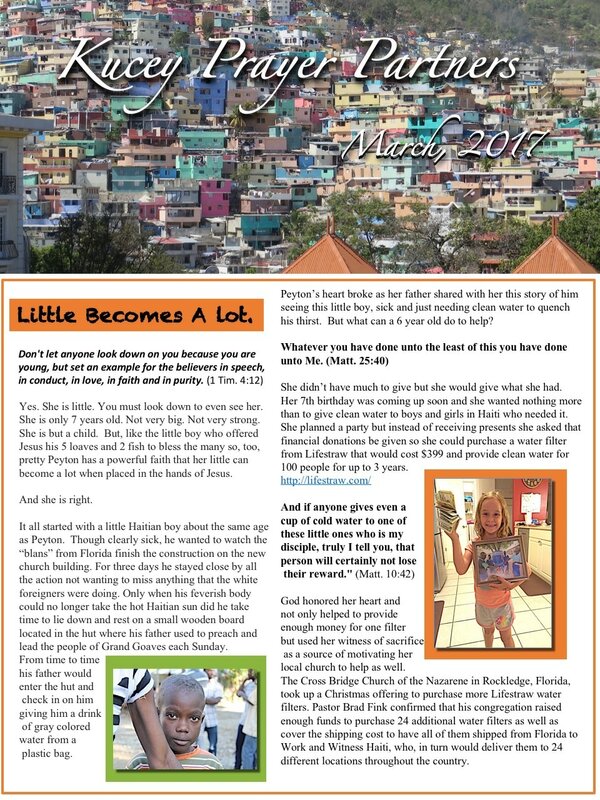 I hope you enjoy reading more about Peyton’s story in this month’s newsletter. Please keep us in mind for Deputation. We currently have only two Churches in Canada placed on the schedule and am seeking for more opportunities to share what the Lord is doing in Haiti with our own “tribe”. Thankfully, we are booked in the US in 5 Districts! Can’t wait to visit our American friends starting in June. Thank you, dear Friends, for your efforts to include us in your petitions before our God. We are grateful and He is good.